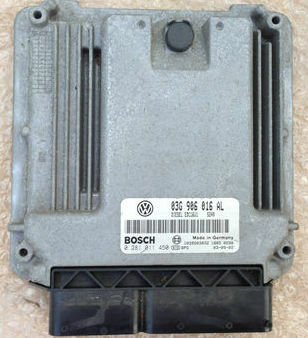 It is a Diesel Engine ECU and we are able to fully test and rebuild these units. This entry was posted in Audi, LATEST NEWS, Seat, Skoda, Volkswagen and tagged 0281 012 390, 0281 012 469, 0281 012 742, 0281 013 187, 0281 013 196, 0281 013 226, 0281 013 228, 0281 013 233, 0281 013 238, 0281 013 260, 0281 013 276, 0281 013 279, 0281 013 280, 0281 013 282, 0281 013 297, 0281 014 041, 0281 014 044, 0281 014 046, 0281 014 061, 0281 014 063, 0281 014 065, 0281 014 073, 0281 014 418, 0281 014 419, 0281 014 714, 0281 014 719, 0281 014 900, 0281 015 023, 0281 015 026, 0281 015 208, 0281 015 336, 03G906021AQ, 03G906021AR, 03G906021DP, 03G906021KC, 03G906021KG, 03G906021KH, 03G906021KK, 03G906021LB, 03G906021LD, 03G906021LG, 03G906021LK, 03G906021LL, 03G906021LN, 03G906021LR, 03G906021LS, 03G906021ML, 03G906021MM, 03G906021MP, 03G906021PD, 03G906021PK, 03G906021PM, 03G906021PP, 03G906021QT, 03G906021SK, 03G906021SN, 03G906021TF, 03G906021TP, 03G906056K, 03G906056L, 03G906056S, Audi ECU Faults, Seat ECM Testing, Skoda PCM Problems, Volkswagen ECU Repairs by smartAjaz. Bookmark the permalink.